The SWLing Post DXpedition at PARI is going very well. We started yesterday around noon with beautiful fall weather; late last night, it started raining but that hasn’t dampened our spirits today. 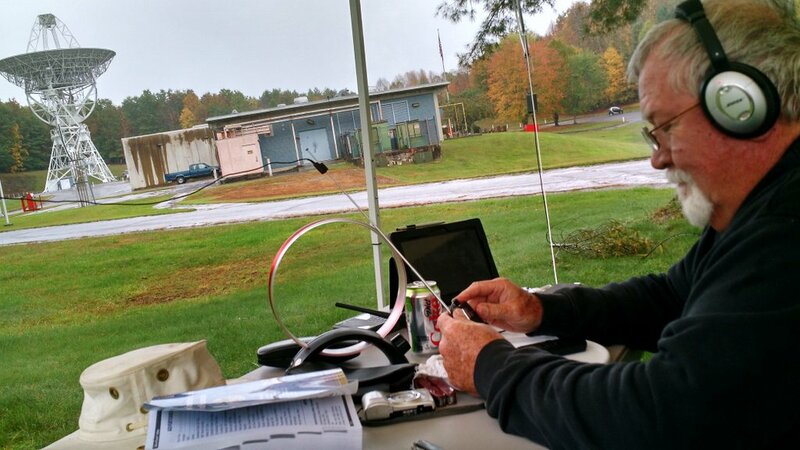 Despite the wet, chilly weather, Gary Donnelly (above) has been logging numerous shortwave stations during the day and mediumwave stations at night via his assortment of ultralight radios. Bill Boyd, another DXpeditioner, has been travelling the 200 acre PARI campus and listening via his Tecsun PL-880. DXpeditioner, Mark Fahey, has traveled here from his home in Australia, thus he’s particularly enjoyed hearing South American stations which are somewhat rare in his corner of the world. Today alone, Mark snagged two other firsts: the time station CHU Canada, and a perfect two hour recording of the Voice of Nigeria in DRM. Mark says that his listening expectations are turned upside down, because day/night band openings are nearly opposite of what he’s used to. This is the great thing about SWLing during travels: exotic stations become much lower hanging fruit. 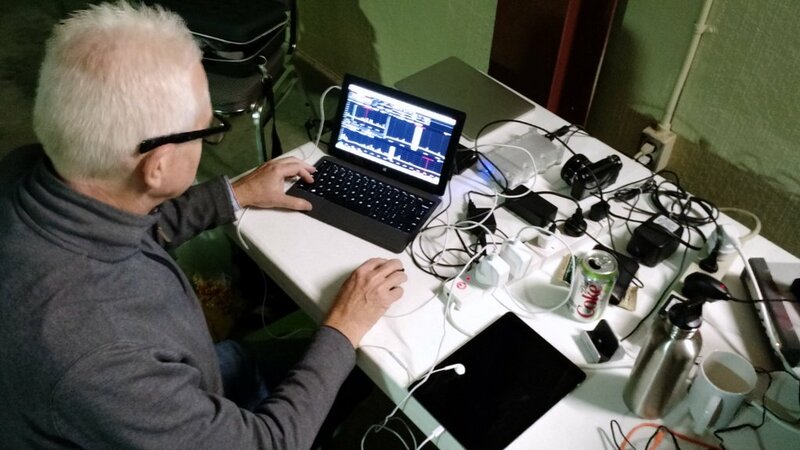 Mark and I have set up a table full of SDRs and have been actively recording spectrum while listening. 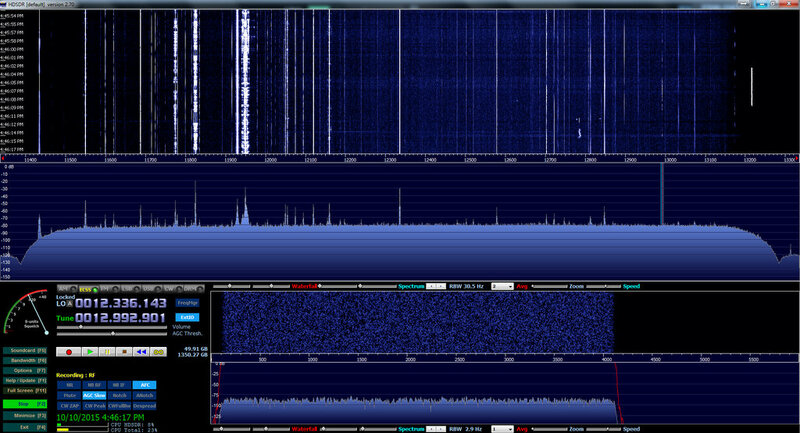 We have a WinRadio Excalibur, Elad FDM-S2 and the SDRplay RSP. 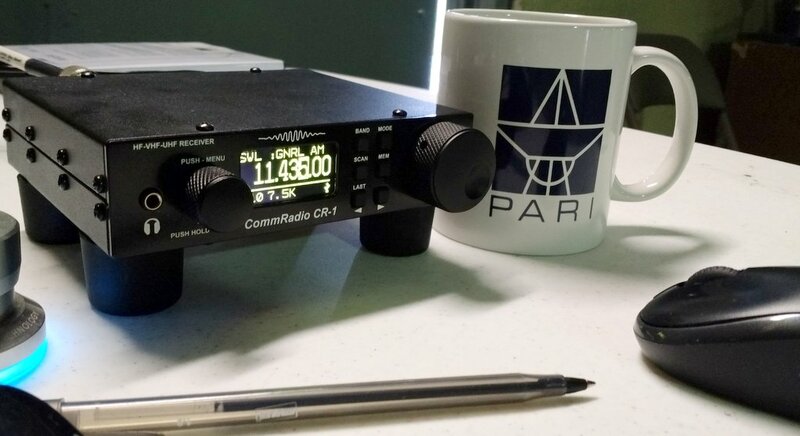 We also have the CommRadio CR-1 hooked up: it has been a fantastic receiver for visitors to use and a brilliant auxiliary receiver while both SDRs have been recording spectrum simultaneously. Despite mediocre band conditions, we’ve managed to hear a lot of stations. This entry was posted in DXpeditions, News, Shortwave Radio, SWLers, What's On Shortwave and tagged DXpedition, DXpeditions, SWLing Post DXpedition, SWLing Post DXpedition at PARI on October 10, 2015 by Thomas. Where is this location of this dxpedition ? This DXpedition took place near Rosman, North Carolina. Thanks for bringing us along for the ride. Great write up and looks like you guys are all having a lot of fun! It looks and sounds like you guys are having a great time, I wish I were there to partake in the fun!! The rfi free area you are at must really pull ones spirits up into the “oh yea, this is why I like this so much” attitude. My home brew loop, 660 and 1102 Kaito are jealous, dig the signals out!! Excellent stuff! Makes us wish we were there, particularly the quiet atmosphere, the ability to focus just on SWLing without the distractions of home. Thanks for sharing, and continued good luck!! 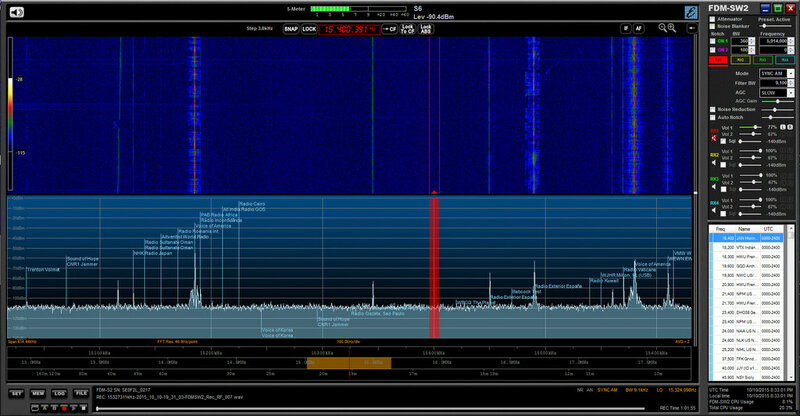 Nice loggings guys, restores one’s faith in shortwave. Wish I was there. Have a great time. We’ll give it a go, Dan! Hooked up to the impressive Pixel loop at the moment.